Designed in partnership with BF1 aerodynamics systems the ONE is wind-tunnel tested to be FAST! 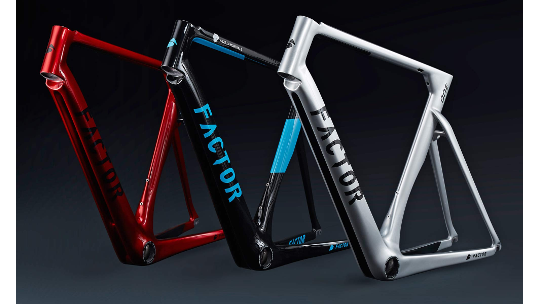 Factor built the one with a determination to set themselves apart from the rest and the twin vane split downtube hits you immediately making you aware of their identity. Designed in partnership with BF1 systems who pride themselves as being the giants in the industry of wind-tunnel testing having worked with a number of F1 and Moto GP teams. And the result? An advantage of 100g of aerodynamic efficiency at 40km/h compared to a non-split downtube design – equating to about one second per kilometre in savings. 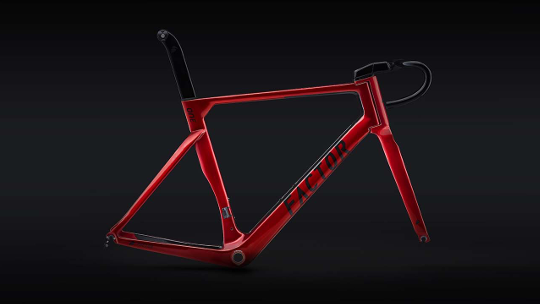 Factor also wanted to ensure that whilst creating a highly aerodynamic bike was great it needs to remain stable. With a dual clamp design, the steerer fixes both beneath and on top of the headtube and the OTIS fork fixes directly to Factor's custom one-piece handlebar. Fast, Aerodynamic, Stable and aesthetically pleasing, especially in the Crimson. 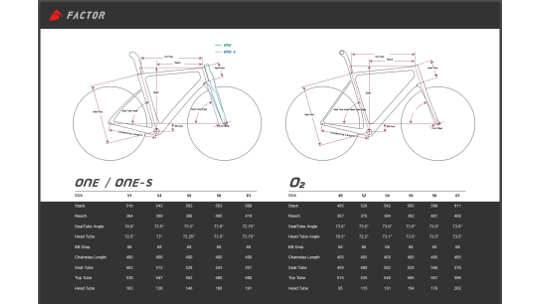 The Factor One is available in a unique TriStore to build specifically to your needs. Developed as a total aerodynamic system, the ONE has been created in collaboration with aerodynamic maestros bf1systems – one of the premier providers of wind-tunnel and downforce measurement to Ferrari, Aston Martin, Lamborghini, Maserati and multiple F1, Moto GP and WRC teams. Together, Factor and BF1 have realised the pinnacle of aerodynamic performance in the ONE. The OTIS fork works symbiotically with the Twin Vane split downtube to take the dirty turbulent air from the front wheel and funnel it through – rather than around – the downtube. 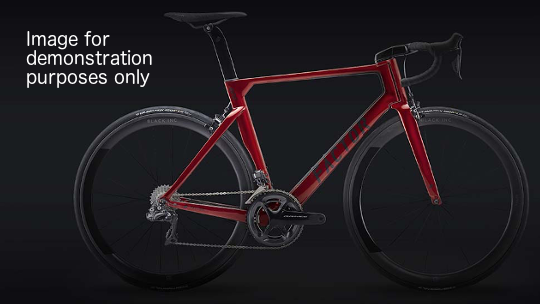 This dynamic relationship delivers a meaningful advantage of 100g of aerodynamic efficiency at 40km/h compared to a non-split downtube design – equating to about one second per kilometre in savings. In addition to being at the aerodynamic front line, the OTIS fork is the lynchpin that binds together the ONE’s insatiable thirst for speed together with its inscrutable handling and rides confidence; how a bike handles and tracks whether descending, across cobbles, carving chicanes or dodging potholes is not just a function of the ONE’s advanced geometry and position: it’s also structural. Featuring a dual clamp design that fixes to the steerer both beneath and on top of the headtube, the OTIS fork also mates directly with Factor's custom one-piece OTIS bar and stem assembly. Together, this integration delivers exceptional aerodynamic performance, phenomenal front end stability, laser-guided steering precision and maximum stiffness. Go where you will with total line-holding confidence: from full-bore finish line sprints, railing banked turns, or effortlessly carving down Alpine descents: the ONE is the perfect synthesis of aerodynamics, speed and inspiring stability.